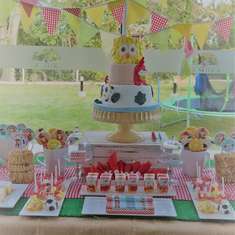 A fiesta birthday party was the perfect combined party theme for my oldest (turning 5) and youngest (turning 1). It was so much fun getting to use so many bright bold colors for this party. 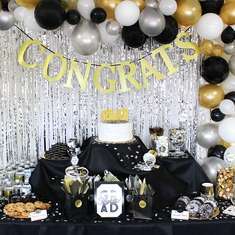 I DIY'd the balloon garlands, silver standing letters, and "ole ole" banner. I used a lot of random glass jars, floral, Mexican bowls as decor along with Mexican tomato sauce cans that I emptied and filled with baby's breath. 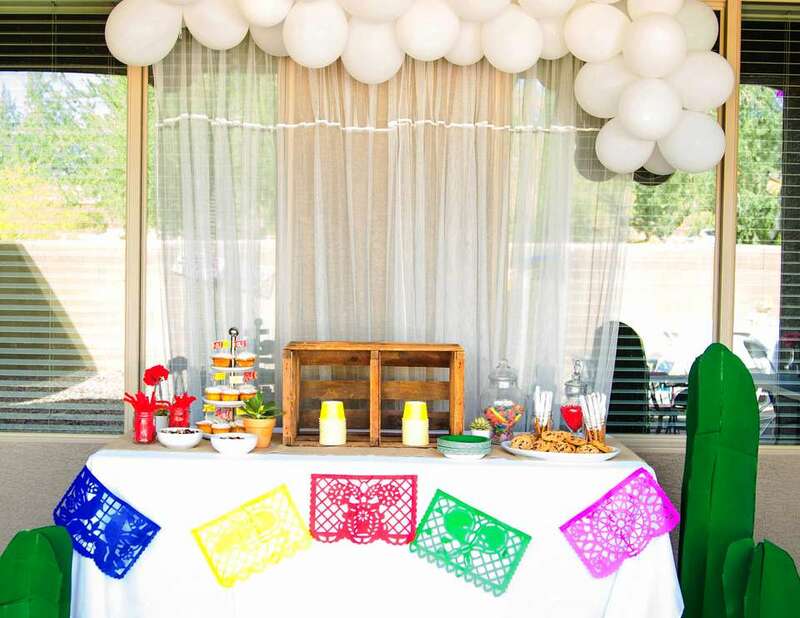 The Mexican Papel Picado banner's were so inexpensive and gave the party an authentic Mexican feel! The girls both wore beautiful flower crowns made by ellisoriginals301 on Etsy and my husbands cactus shirt from Brooklyn and Co. matched perfectly with the theme! Our friend Nonni with Nonni Lee Photography captured the entire party for us. 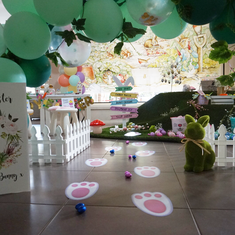 We had such an amazing time celebrating our 5 and 1 year old! Mexican Food- enchiladas, tacos, burritos, beans & rice, chips. 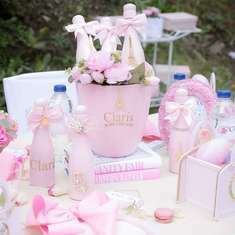 Nonni Lee Photography captured our party for us!